Is anyone of you a vegetarian?? Here, at LEO Guest house, we have some vegetarian friends! 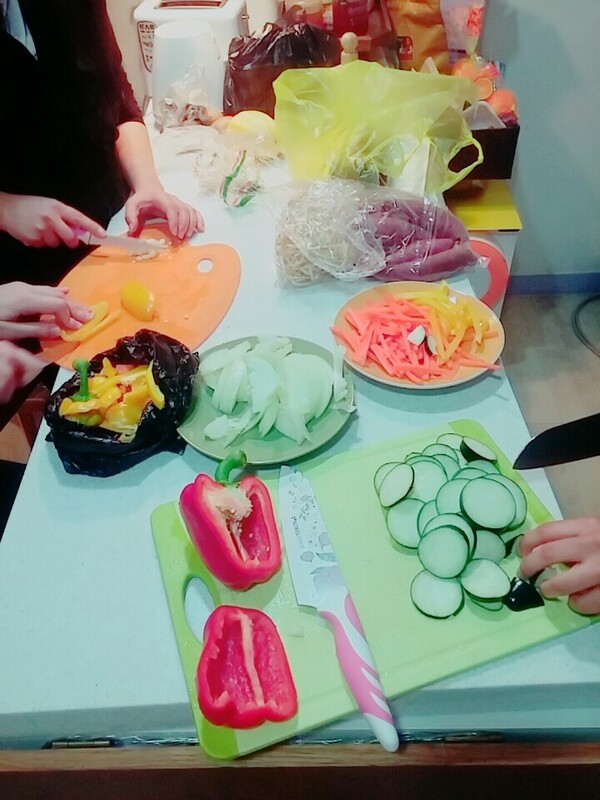 So, now and then, we have a "Vegetables Party"!! 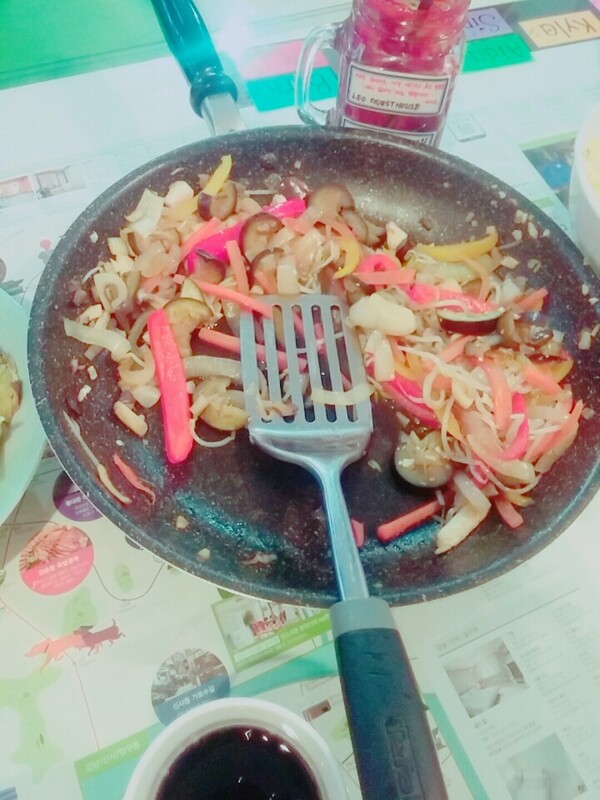 This time, we stir fried some vegetables and made some vegetarian Bibimbap! I'm personally a meat lover, but with friends, everything is delicious!